Outfit your office or home office with impressive and comfortable guest seating with this classically styled guest chair. 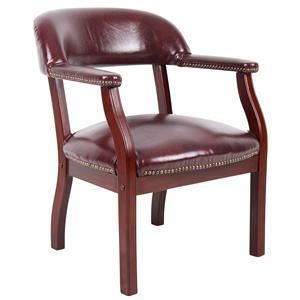 Constructed on a sturdy hardwood frame in a traditional Mahogany wood finish, this chair features a no-sag spring seat. Select from black or burgundy vinyl, both of which feature hand-applied brass nail head trim. 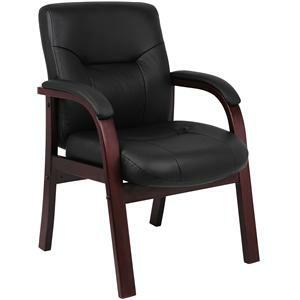 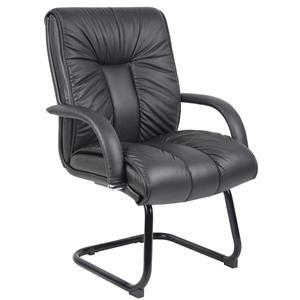 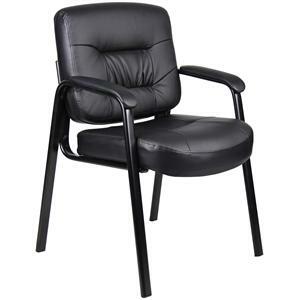 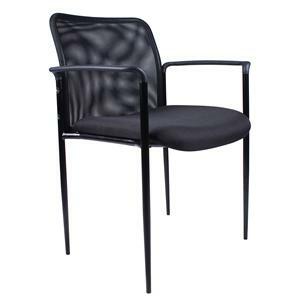 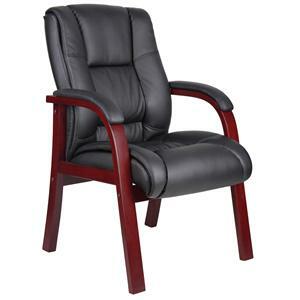 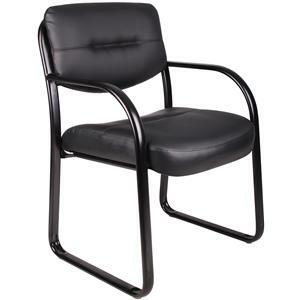 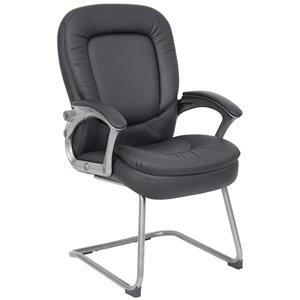 The Office Side Chairs Vinyl Upholstered Guest Chair with Nail Head Trim by Presidential Seating is available in the area from FMG - Local Home Furnishing. 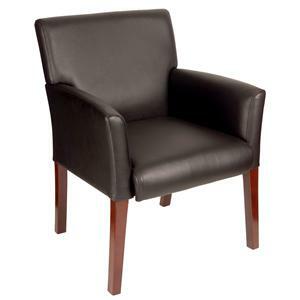 Fabric Content Black or Burgundy vinyl upholstery with nail head trim.